Get Inspired by our Best Tips for Freezing Pumpkin! 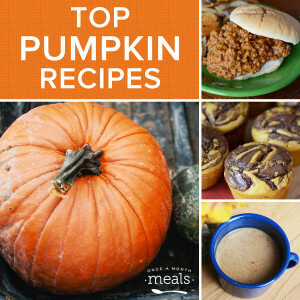 Join Once A Month Meals team as we share our best tips for making pumpkin inspired meals for the whole family this fall! Pumpkin isn’t just a sweet ingredient, it can also be used in savory dishes. We’ll be chatting about all the ways to use our favorite fall squash in lots of yummy, savory ways! Our team members, Ricki and Kelcey, will walk you through some recipes to try, as well as tips for making and freezing your own pumpkin puree this season! October 26th has been deemed National Pumpkin Day, and across the nation pumpkin lovers unite to celebrate the love of this favorite fall flavor .